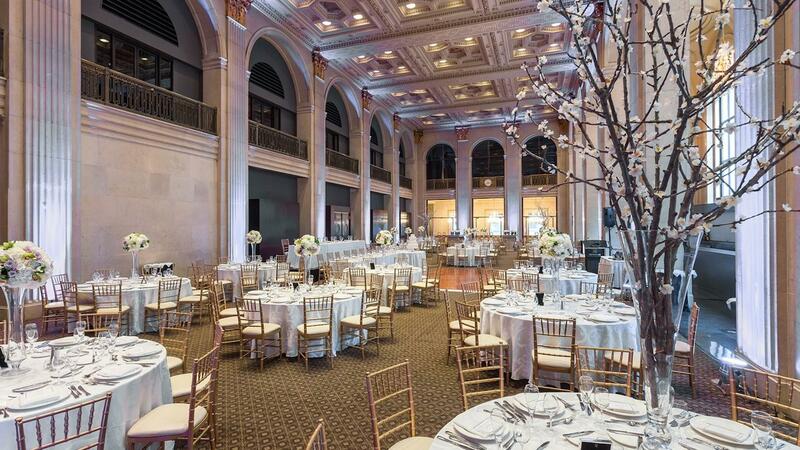 Rent One King West | Corporate Events | Wedding Locations, Event Spaces and Party Venues. Enter One King West Hotel & Residence and discover an oasis of hospitality marked by genuine warmth and personalized service. Architecturally inspiring and ideally located, One King West is a Toronto hotel that connects guests within minutes to downtown business, entertainment and shopping districts. Our Ontario Heritage building seamlessly blends modern amenities, timeless elegance and true convenience. Whether in town for a weekend or an extended stay, One King West offers guests more than just a prestigious address. It is a hotel to call home. An informal bistro offers international cuisine and a lobby bar serves snacks and has a big-screen TV. A rooftop fitness centre has a hot tub, a resistance lap pool and saunas.